Thanks to this unique collaboration, Tools is now available as a serial-hand-made product and in different versions such as Tools - Table, a stand alone desk light. 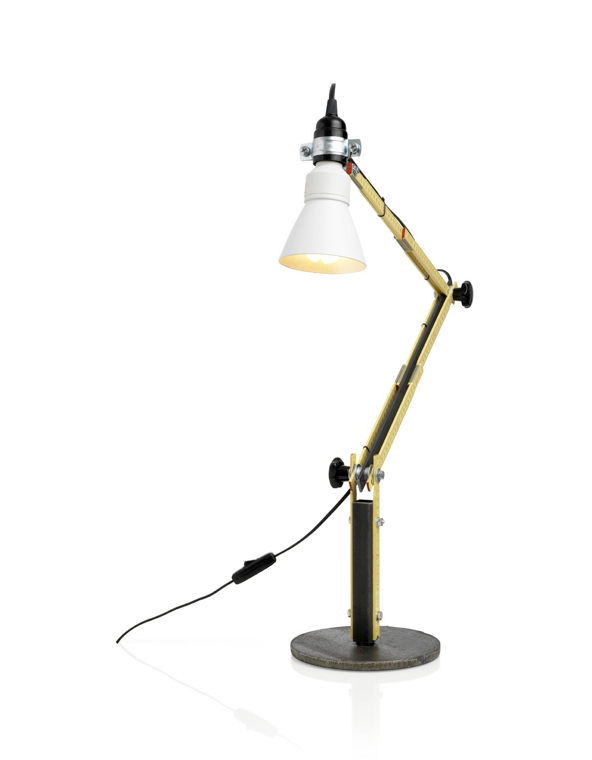 Tools Table Light is a ready-made lighting objects, an hybrid between a lamp and a ruler. 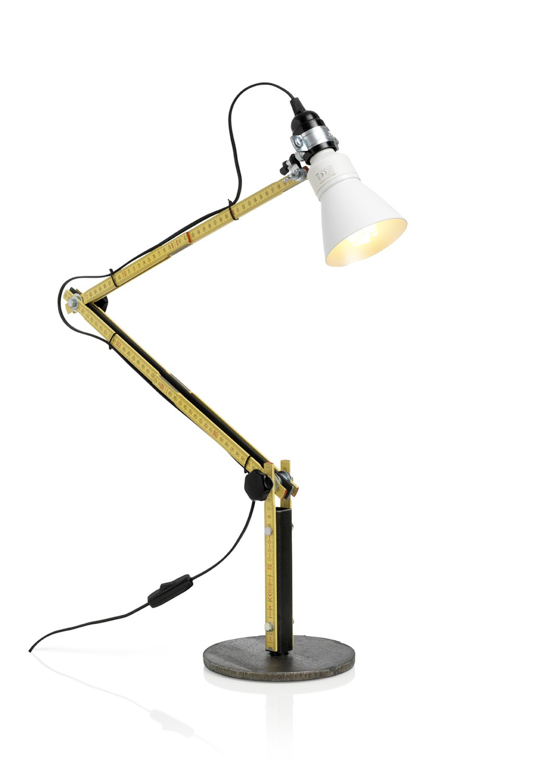 The design features an arm made from an extendible wooden ruler making it adjustable, in combination with already existing lighting components. This incomparable mix of materials into a narrative design is an invocation to poetry. The poetry of making, of collage, of prototyping and the poetry of sustainability.